Sue Bailey will come and talk about ASL dictionary on Saturday, May 25th at 1:00 pm until 3:00 pm. The location is at VCC. BCCSD wanted to let you all know that boards and some people who attended last workshop: ASL Lit we all really enjoyed very much. We had lots of laughter. 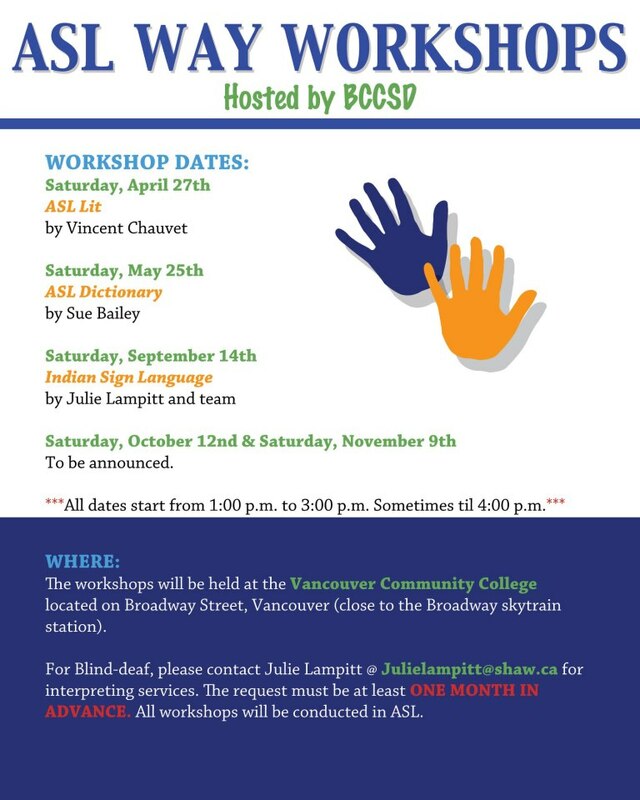 BCCSD highly suggest you to attend ASL WAY workshops to learn more about Deaf culture – history, studies and etc.. BCCSD support and encourage you to spread around deaf community to attend ASL Way Workshops. Come and join 🙂 Please RSVP at our facebook event.